There aren't enough food, service, value or atmosphere ratings for Panera Bread, North Carolina yet. Be one of the first to write a review! Fresh food. Salads and sandwiches are great! They are good about e-mailing coupons. You can order right when you get in the door on a tablet like computer. The drive thru is very slow I don't recommend it. 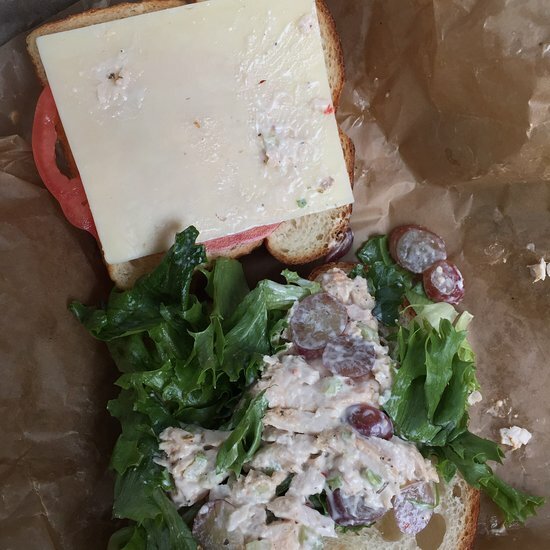 Chicken salad was good but barely covered half the bread. Does this look like a $9 sandwich to you? Im sure it’s franchise wide and not just this store. I’m done with Panera.